Some of you might have come across this supposed love story involving two graduates of DLSL that was making the rounds of Facebook the other week. Heart warming enough, this I am prepared to concede; but I was warned that it probably was not even true. Now that I come to think about it, I have always had this really great connection with the Hernandez family of Cumba, a cosy little village just outside Lipa City proper. I just had no reason to think of things that way before. Estela, the eldest, was in my high school History class in 1991-92. She was what the French would call petite, small and lovely. But she was more than just a pretty face; she was smart, too. John, who unfortunately passed away some years back due to a rare illness, was in the high school Pearl Batch of 1993. I was the batch’s Year Level Moderator. He played varsity football in college; but at the time, I had not taken over coaching of the college team yet. When a light drizzle began to fall gently from the heavens, I could not help but think there was God’s final touch, blessing the couple with water that He Himself sanctified. Eugene, the second son, played high school and college football under me. He has always been this quiet but reliable character and is now an officer of this fledgling football club that I am trying to build. 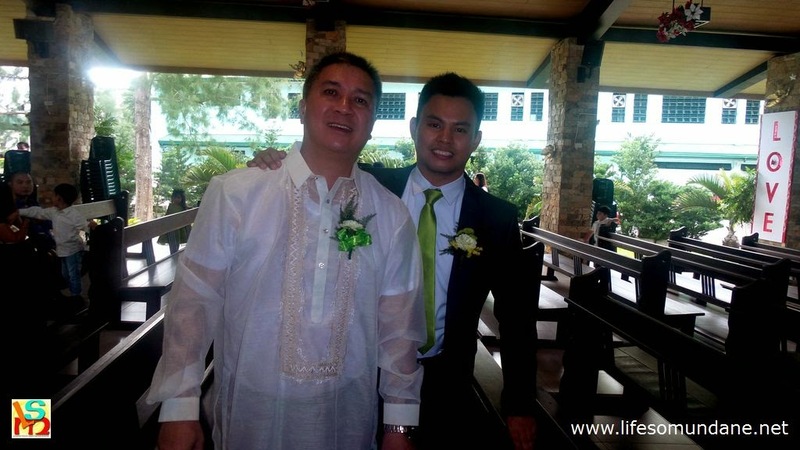 Erick Von, the youngest child, was the one I did not even know in any capacity when he was a student at DLSL. There was irony, therefore, in that of the Hernandez siblings, he was the one with whom I would eventually spend so many years of my life with. I was Director of External Services, the school’s marketing department, when as a fresh Legal Management graduate of DLSL, Erick Von applied for a vacant clerical position in our department. I had no clue that he was at all related to the other Hernandez siblings with whom I was familiar; but I saw an intelligent, eloquent and personable young man. I was very happy to welcome him to our department. I was Vice-Chancellor when my secretary gave notice that he would be leaving to become an officer of the Philippine Navy. In that position, I and my colleagues in upper management were custodians of many matters of utmost confidentiality. Thus, the secretary that I needed had to not only be smart and reliable but, most importantly, of the utmost discretion. I had only one person in mind: Erick Von. We would work closely until I left the school in 2011. The latest member of the Hernandez family with whom I have become associated is the former Shirley Dimaculangan. 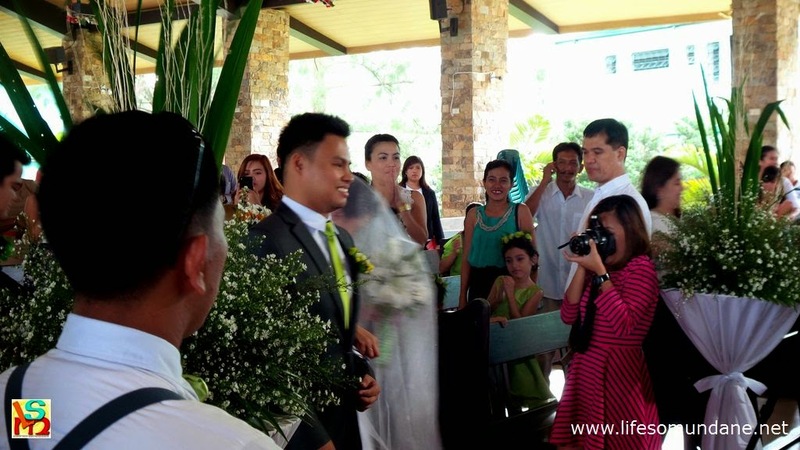 She and Erick Von were joined together before the eyes of God in the Holy Sacrament of Matrimony yesterday at the Capilla San Juan Bautista de la Salle. The first time I laid eyes on her was at the Max’s Restaurant some years back. Erick von had asked for a leave of absence from work for a day and had taken the opportunity to attend to some business then later meet up with Shirley. The couple was at the restaurant when a colleague and I came to dine. My gossipy colleague – clue, he coached basketball and is still gossipy – told me that the two were trying to get back with each other. 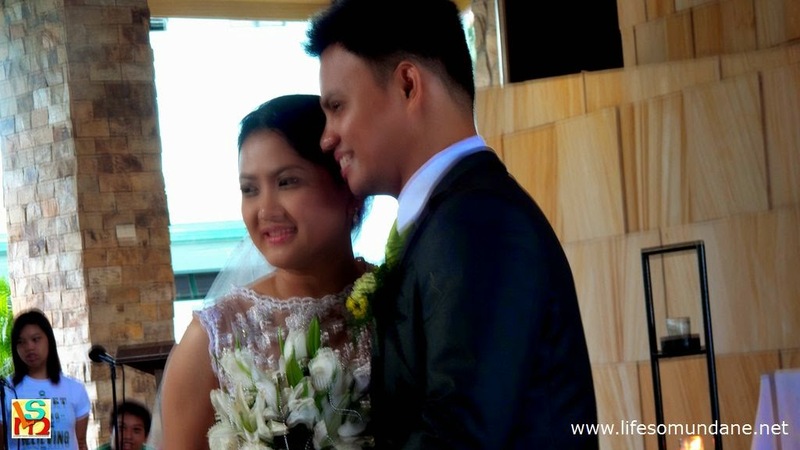 From what I can recall of the story, Erick Von and Shirley had known each other back in high school at The Mabini Academy and became sweethearts in college at DLSL. Shirley was enrolled in Marketing Management while Erick Von was in Legal Management. For reasons the gossipy colleague failed to tell me, the couple had a falling out. They do say, indeed, that absence makes the heart grow fonder. The two came back as a couple soon afterwards and yesterday professed their undying love for each other before the eyes of man and the eyes of God. When Erick Von lifted Shirley’s veil and did as the priest bade with the obligatory kiss, I could not help but think, what a lovely couple! I met up with the two last month and for the first time had a chat with Shirley. I found an intelligent young woman with a passion for travel and exploration as well as an artist waiting to be set free. I instinctively knew that she was perfectly complementary to Erick Von and would make him a lovely bride. At the reception held at the La Finca Resort after the wedding, the northeasterlies started to blow briskly as the late afternoon darkened into early evening. 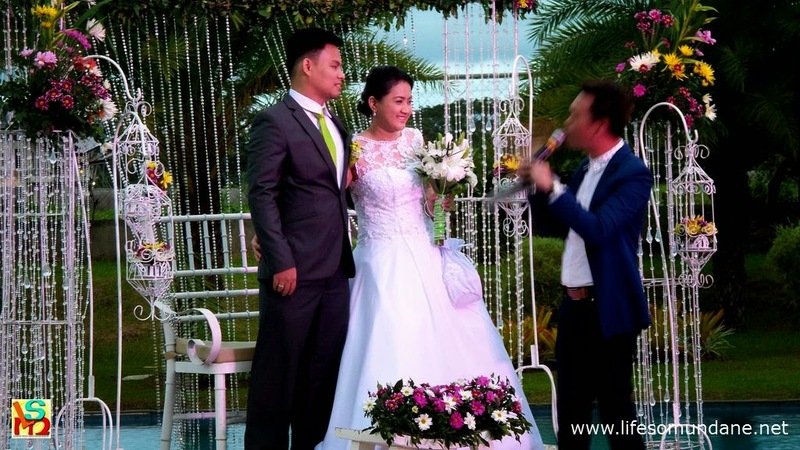 The cool outdoor party was Lipa City at its best, as though God saw the lovely couple and just had to give them the gift of a perfect evening.